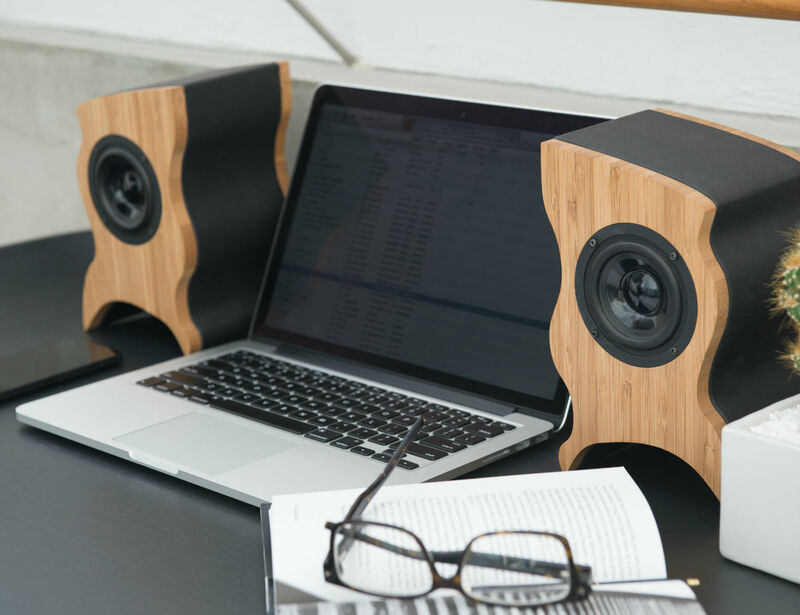 Class up your desk with the Talisman Desktop Speakers by Serene Audio. 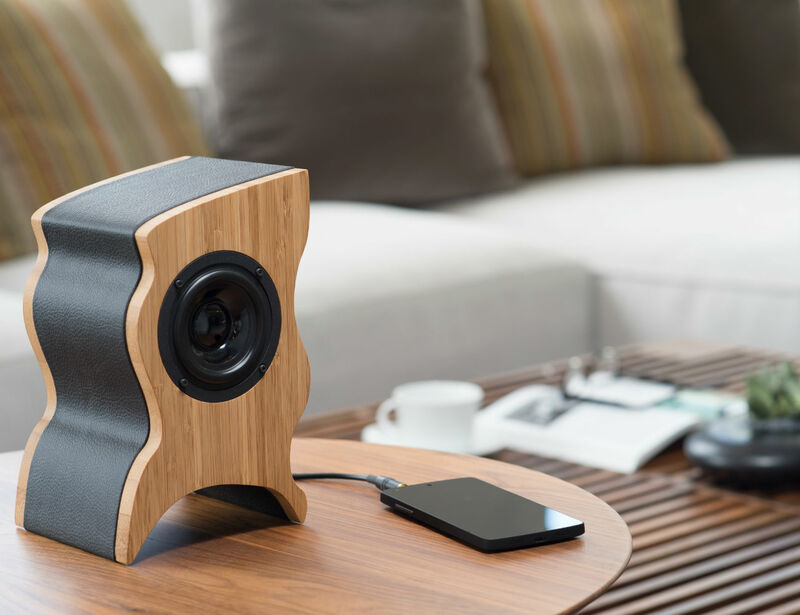 The name says it all – these speakers turn your ordinary audio into a magical experience. 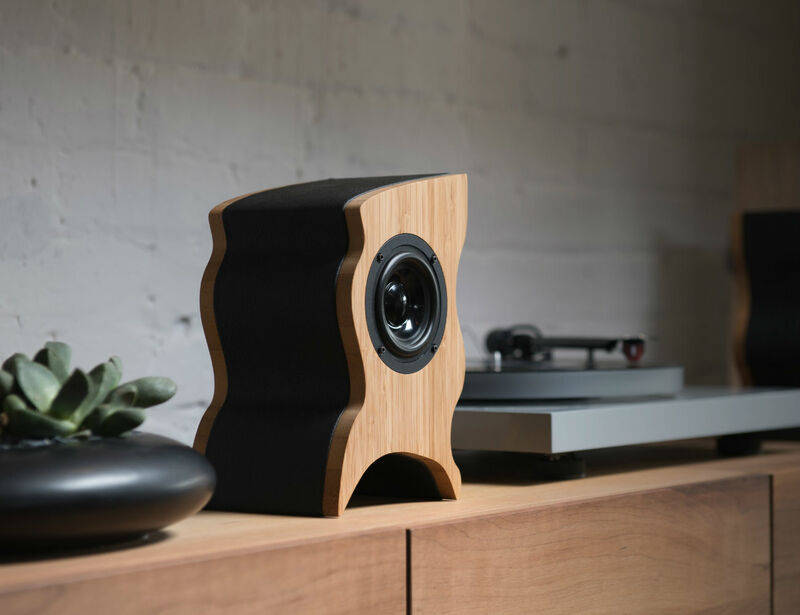 Hand crafted using bamboo, leather, and brass, the Talisman Desktop Speakers have been beautifully designed but do so much more than just look good. 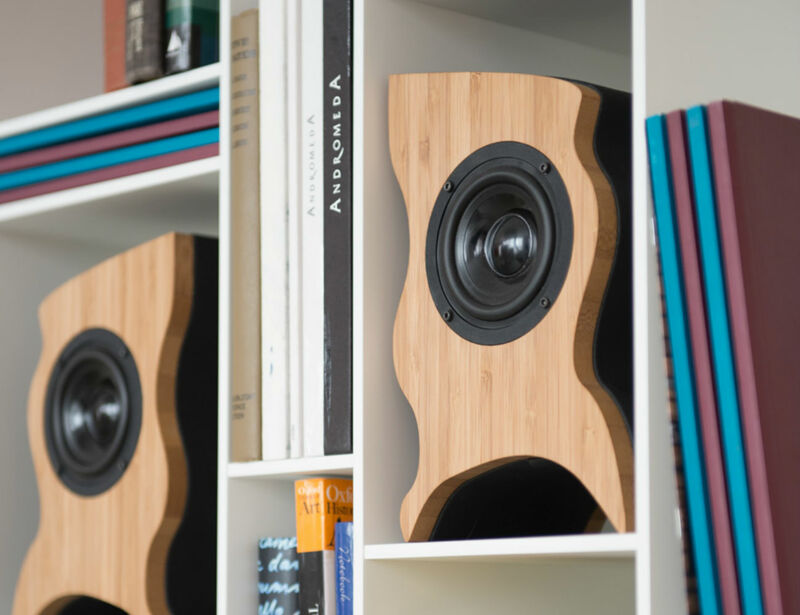 Self-powered, these speakers are compact yet deliver sound to fill any room. 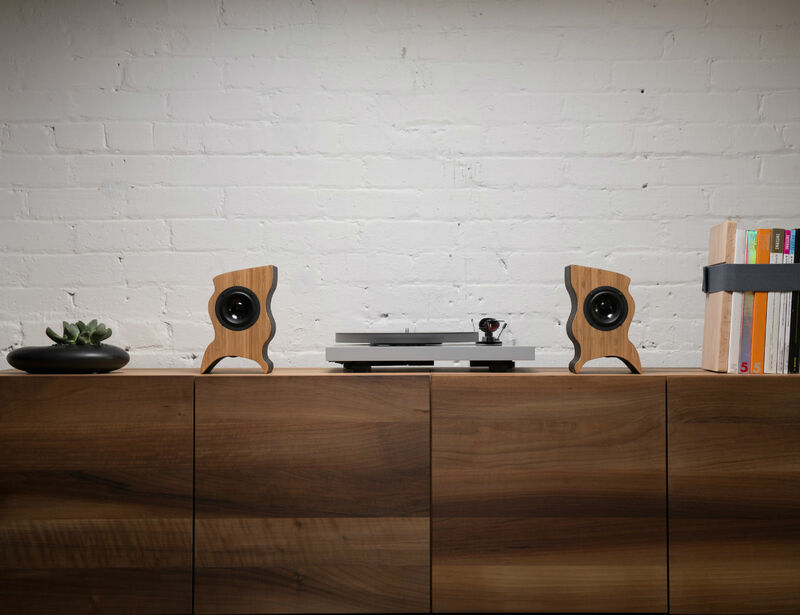 The built in photo preamplifier means they can be directly connected to a variety of devices including a record player. 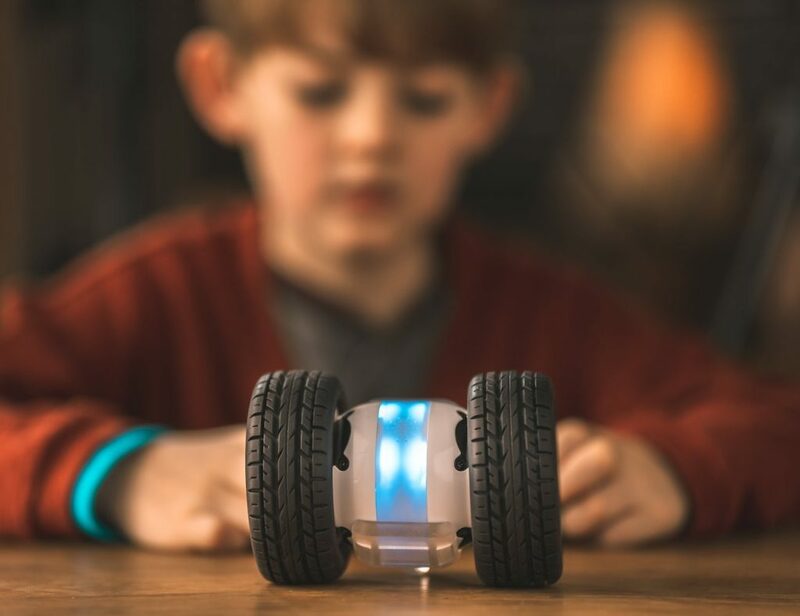 Under the wavy contour of the exterior is a 3-inch full range driver and on the back is a port to connect and automatically detect a subwoofer. 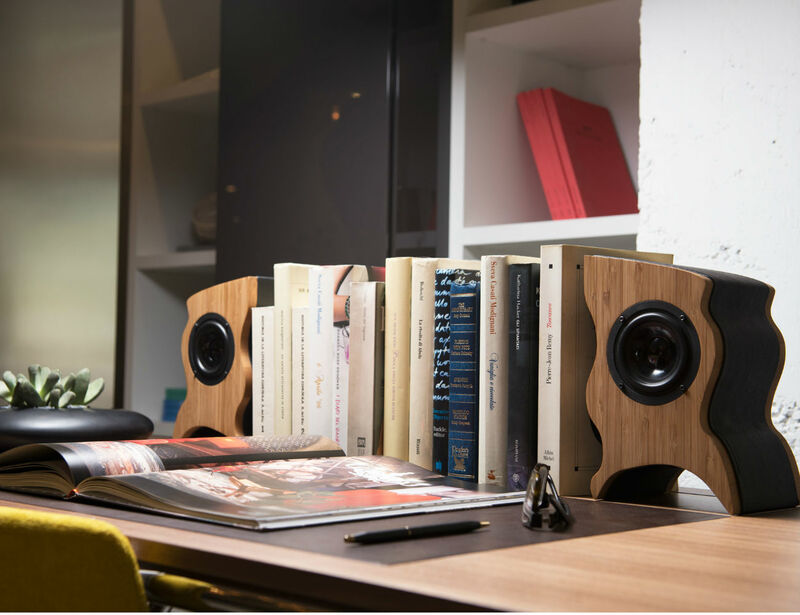 Transform your sound with the Talisman Desktop Speakers by Serene Audio.